COTA was Duntov’s biggest race of the year, as well it should be. This year Duntov serviced seven cars. This will be Duntov’s last race of the year. There are several cars to build at the shop and all the cars that Duntov maintains will be getting a thorough going through getting ready for SVRA Sebring in March 2017. 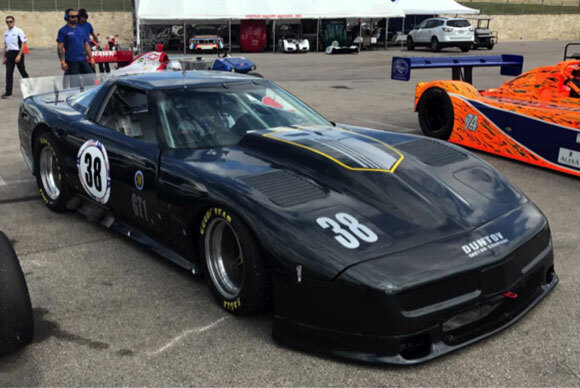 This year’s National Championships saw the first post restoration race of Duntov’s 1988 Trans-Am Corvette. The car had not been raced since 2004, and had spent most of the intervening years in Australia. With two ocean voyages under its belt, the car needed a complete and total restoration, and it got one. The car showed plenty of speed during practice, but a leaking oil pump and time demands relative to the other cars forced us to park the car for the rest of the weekend. It will be at Sebring with a new oil pump and lots of mid-winter testing, and it will be plenty fast! 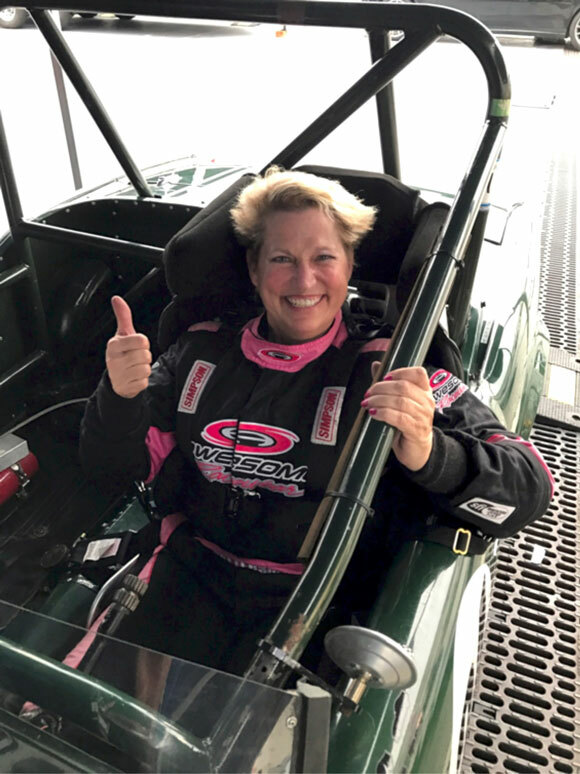 Susie Patterson after her first session in her Spitfire ? The second session didn’t go as well. Clair Schwendeman’s car was down on power again, not dramatically, but enough that he was outside the top ten in Group 6 for the first time in recent memory. The crew changed everything, and even ran a session without the air cleaner to no avail. It was time for an overhaul anyway, so by Sebring 2017, Clair will for sure have his horses back and more. Clair did lead the Group 6 enduro, but a late and unfortunately missed pit stop call caused him to run out of gas with ten minutes to go in the ninety minute race. What a waste! Tony Parella did better in the Vintage Enduro, winning the 60 minute race by 1:48. There were twenty-six starters. Tony’s winning small-block Corvette had a fastest lap of 2:26.2, making it the third fastest Group 6 lap of the weekend. 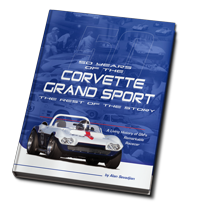 It’s interesting that two out of the three fastest Corvettes in vintage racing’s biggest weekend were small-blocks. Edward Sevadjian in Jim Kitzmiller’s Corvette at the start of the qualifying race. 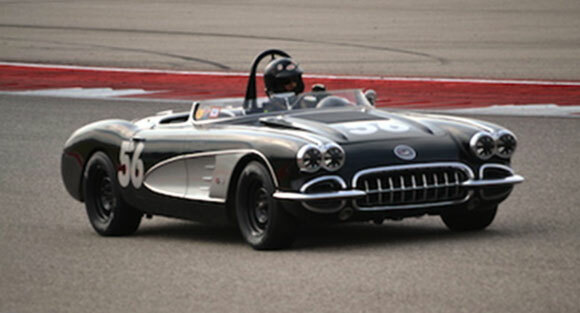 Jim Kitzmiller brought his incomparable big-block Corvette to defend last year’s Group 6 National Championship. 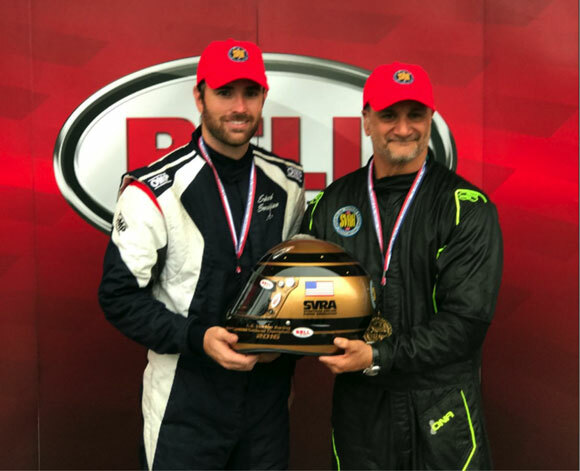 Jim again put Duntov’s Edward Sevadjian behind the wheel, and again Edward put the car on the pole, this time by 1.2 seconds over runner up Peter Klutt. 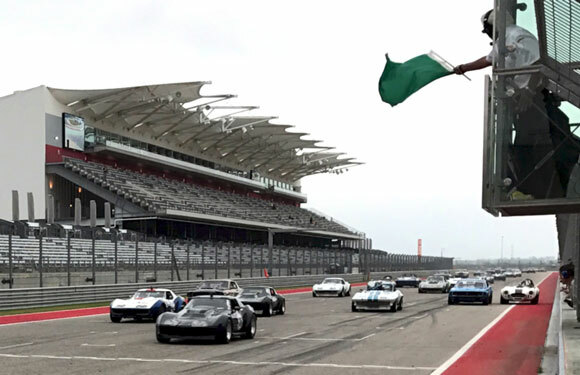 Edward won the qualifying race over Klutt and backed that up in the feature race where he turned a 2:23.085, a full 1.7 seconds quicker than Klutt, and the fastest Group 6 lap ever turned at Circuit of the Americas. 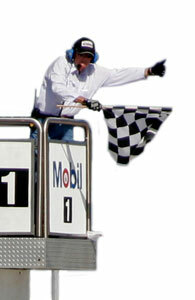 Curt Vogt was third in his Mustang. Rick Parent, just doing his job. 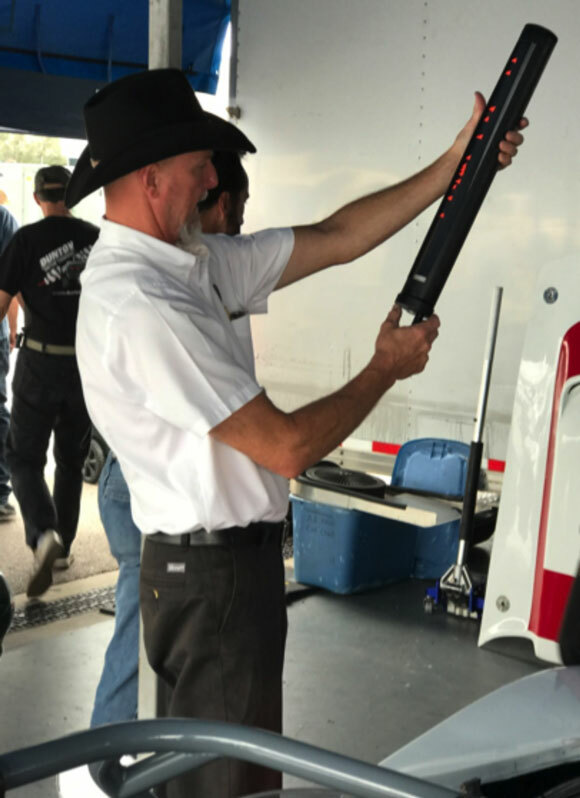 Before the feature race, SVRA Technical Director Rick Parent came by the Duntov trailer and told the crew to prepare for a displacement check! He said he was checking all the fastest Group 6 cars, not just the three Duntov prepared Corvettes. Even Tony’s small block got pumped! Of course, all was well with the Duntov cars and with everyone else in Group 6 that Rick checked. 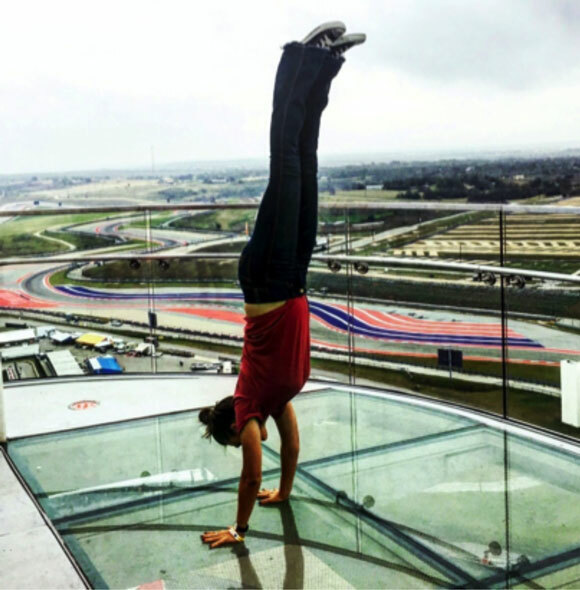 Sami Schwendeman on the glass floor of the COTA tower! 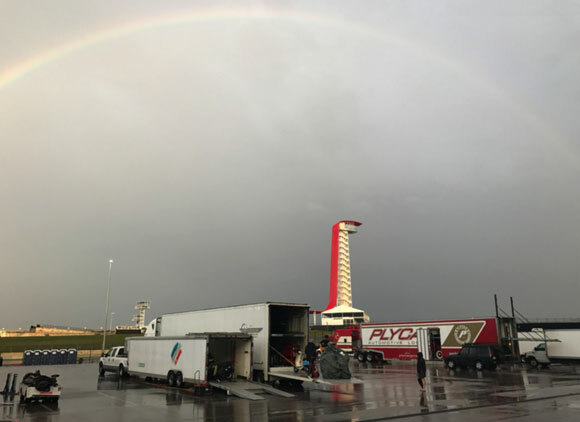 Sunday ended with a torrential rain and a rainbow over the tower – it was a hell of a weekend!